SHAREit is a good application to transfer your files wirelessly between devices and without the internet connection. Although every new version of SHAREit brings improvements and bug fixes, its PC version is still under development. So, you might face problem while connecting your Android devices with PC. The problems that we have observed during our use include app freezing, connection loss during files transfer or device does not connect at all. When device is not connecting, it either displays time out or connection failure error. These issue could be caused by the incompatibility between your PC WLAN hardware and phone or antivirus firewall is restricting the connection. While occasional freezing could be the result of incompatibility with operating system or some other bug. We have found some solutions that might also work for you. 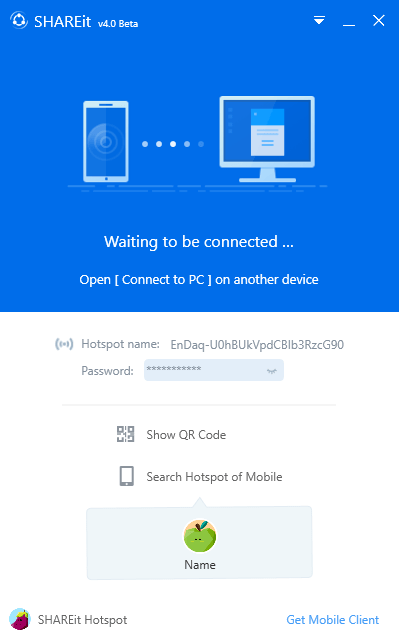 • If SHAREit is not connecting over WiFi or hotspot, disable firewall of antivirus on PC and check. If the problem is resolved, add an exception for SHAREit in firewall settings. 1- Open SHAREit mobile app on your Android phone. 2- Tap on avatar/profile icon on top left corner. A menu will open. 3- Tap on “Connect to PC” option. The device will start searching for PC hotspot nearby. 4- Just tap on “PC Search Mobile” button located at bottom right. Now SHAREit app will create its own mobile hotspot. 5- Make sure that you have SHAREit PC app opened on your PC. 6- Disconnect from internet (WiFi). It is necessary otherwise PC won’t be able to locate mobile hotspot and connect to it. 7- A large pop up will appear on interface of SHAREit PC. Click that and you will connect to your mobile phone after a confirmation dialog. 8- Now you can transfer files between your PC and mobile device. 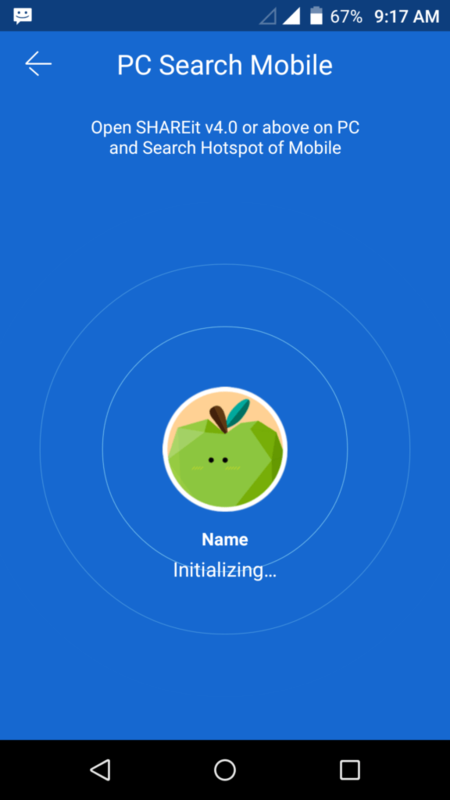 • We have also observed that if SHAREit is not connecting by any mean, turning notebook WiFi OFF and back ON may also fix the problem.